CATALYST FOR CHANGE? : McCrory and other city leaders must reckon with a flagging economy and slumping real estate market. Will Charlotte voters be ready to kick Mayor Pat McCrory out of office if he decides to run again next year? For some residents of the Queen City, McCrory's quest for higher office made them question just how interested he is in moving the city forward. At least, that's one explanation for the Nov. 4 results. McCrory didn't lose by a huge margin in Charlotte -- 337 votes cost him Mecklenburg County. But for a man who hasn't lost a race in this city -- ever -- and has counted on support from Democratic voters, it's telling. It appears McCrory didn't gain confidence even from many Democrats who didn't vote straight ticket. More than 148,000 Mecklenburg voters chose the straight Democratic ticket, while nearly 82,000 voters chose a straight Republican slate. With 199,677 Mecklenburg votes cast for Lt. Gov. Beverly Perdue, that means more than 50,000 voters who didn't vote straight Democrat chose her over McCrory. Charlotte resident Geoffery Brooks said he didn't vote for McCrory, despite the fact that since Brooks has been in Charlotte, McCrory is the only mayor he's ever known. "If you think about it, what has Pat McCrory done for us?" Brooks said. Charlotte artist Antoine Williams said he thinks McCrory spends too much and doesn't have all of the city's residents best interests at heart: "I remember during the [Fourth of July] when he said too many young black males dress like gangsters and he had all of the police downtown. And the taxpayers didn't want [Time Warner Cable Arena] but he used taxpayer money to build it anyway." Williams said for him to vote for McCrory, he'd have to do something spectacular. "He'd have to turn water into wine or something," he said. UNC-Charlotte political science professor Ted Arrington said before the election that a loss could tarnish McCrory's unflappable image. And with the number of new Democrats registered in Charlotte, many by the Obama campaign, it's possible that Charlotte may elect a Democrat in November for mayor for the first time in the 21st century. 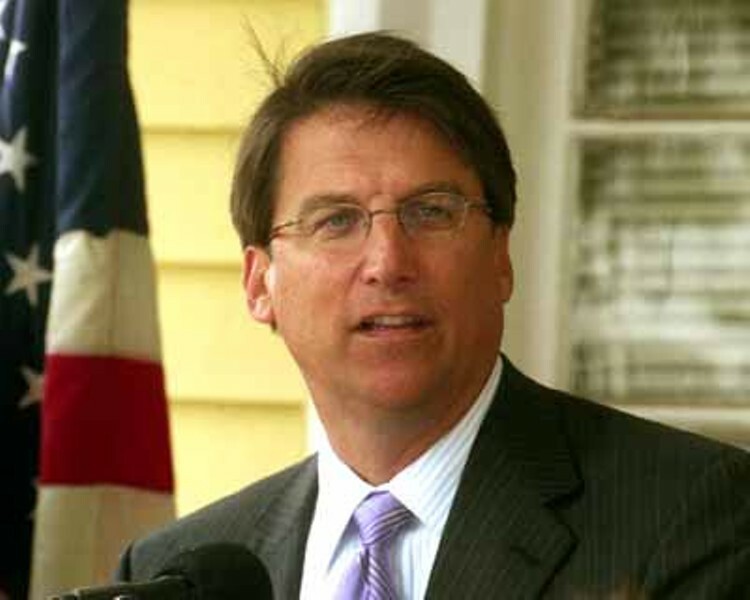 McCrory has said he hasn't made a decision about his political future. Calls to McCrory weren't returned by press time, but he told Raleigh's WRAL-TV that he knew he would be fighting the Bush factor in the election (even though President George W. Bush did campaign for McCrory), but he didn't expect to come up against the "Wall Street crash and Sen. [Barack] Obama pouring millions of dollars into North Carolina." "The polls did not show the straight Democratic ticket, especially in the African-American community," he told the station six days after the election. "We got killed in the urban areas of Raleigh, Durham, Charlotte, Asheville, Fayetteville." Since McCrory began campaigning for governor, Charlotte has faced several problems: flooding, a gas shortage and a banking crisis. The floods have abated and gas is once again hovering near $2 per gallon, but the city's once-booming economy has been hit hard: Wachovia merged with Wells Fargo and the housing market, though still performing better than most metros, has slumped. Like workers in other industries, banking employees are worried about their futures. 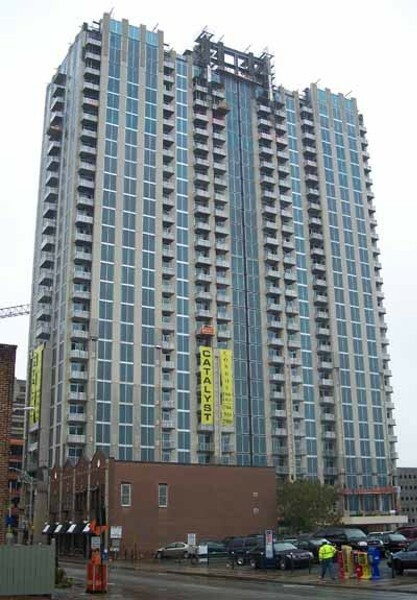 Developers behind high-profile condo projects Uptown have found their way to bankruptcy court or considered turning projects into rentals. And now, some observers are wondering how McCrory will get along with Governor-elect Perdue once she takes office. Will they be able to work together after such a hard-fought campaign? At-large City Councilman Anthony Foxx, a Democrat who has announced plans to run for the mayor's office in 2009, said he doesn't think McCrory and Perdue will have leftover animosity and will work together -- at least until a new mayor possibly takes over. "I think the opportunity to renew strong and positive relationships with our state government in Raleigh is very strong," he said. "I think Governor-elect Perdue is going to reach out to the community and we're going to reach out to her." Some political observers say Charlotte doesn't reach out. BlueNC blogger James Protzman, a Triangle-area resident, wrote the day after the election that "McCrory has complained about Charlotte being 'left out' for years, but did almost nothing that I can see to reach out effectively to engage the statewide community." Foxx said that while Perdue is picking committees and filling important posts in her administration, representatives from the Charlotte area need to build bridges so that they are placed in positions that will help the region. "There are enough very strong relationships on the City Council with Governor-elect Perdue to offset any issues that may be lingering between her and Pat McCrory," Foxx said. "But frankly, I don't expect Pat McCrory to take opportunities to damage the relationship at this very early stage."